Unlimited SMS for only $5 per Week! Calculate BAS in less than 5 seconds, get financial reports and more. 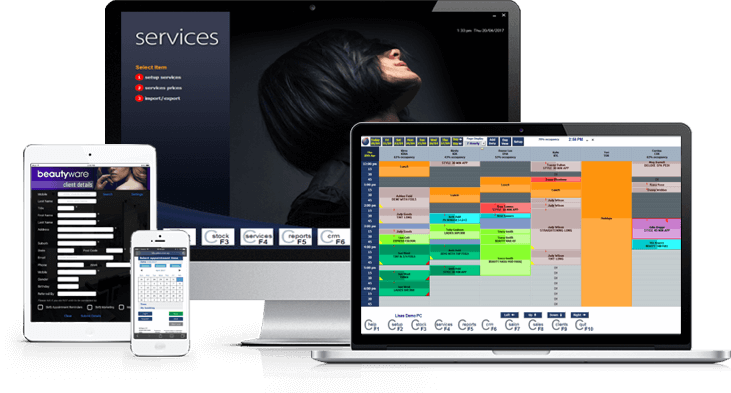 The only salon software that also integrates the financial management. Don’t pay too much elsewhere. Two way appointment confirmation, SMS marketing or just send a single message. Keep connected with your clients effortlessly. Leave the desk behind, and take your business wherever you are! Connect your iPad or Android tablet to your Hairware Beautyware system anytime, anywhere. Connects with your clients using automated marketing, or select from thousands of combinations with custom marketing. 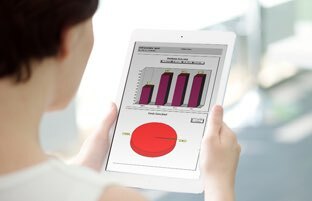 Data and graphs from total summary, productivity, occupancy, service, end of day or choose from 1 of over 100 other reports. 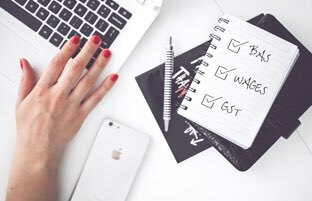 Calculates BAS in less than 5 seconds, manages GST and wages, prepares profit and loss reports, petty cash and much more. Our complete POS takes care of payments, updates stock records, EFTPOS integration, tracks gift cards and pre-paid packages. The easiest appointment book to use, easily make or change client appointments. Online booking allows clients to book 24/7. Connects your iPad or Tablet to your Hairware Beautyware Salon Software and allows you to leave the desk behind and connect remotely. Manages all of your stock needs from ordering to receiving, salon use, allows you to create orders within your budget, and more. 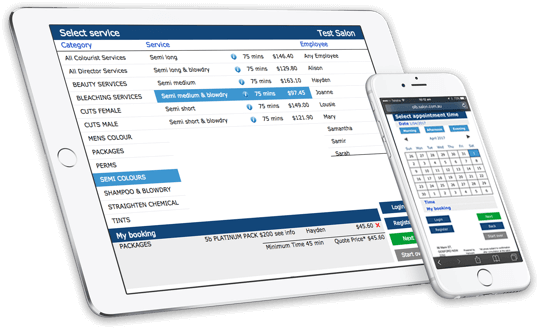 Create and update services, pre-paid packages, integrates with our appointment book and point of sale. Delivers a big range of reports. Our friendly team delivers professional and immediate assistance when you need it, in a language you can understand. Customisable Salon apps to give your business more visibility and allow your clients to reach and connect with you easily. Pin or password, customise the level of security to suit your salon needs. Back up your data safely and securely to our cloud server. Allow clients to make their own appointment anytime, anywhere. Link to your customised online booking page from your site, Facebook page or any other business page. This online appointment book will show the available spots to make a booking, allow your clients to validate their booking by a username and password. The online booking page can be customised with your salon’s logo and a background of your choice. Online appointments appear in a different colour with an online logo to easily distinguish appointments made online. 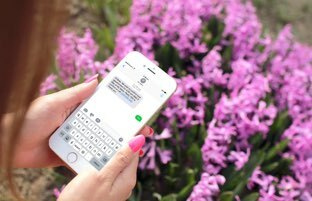 You will also have the option to send customised automated email confirmation including your own terms and conditions, logo and appointment details, as well as integrating this feature with Hairware Beautyware’s SMS text reminders. I would like to thank you for the program Hairware that your business provides. We have found Hairware to be the perfect fit for our business and have it running in four of our Hair Salons without any issues. Hairware has been an amazing system for us to use in our barber shop. We have found the over the phone support and training always helpful and informative, which allows us to use our system to its fullest potential. I have been using Hairware for 9 years now and it has become a very valuable tool to help me run my salon. It has so many great features that allows me to run the salon efficiently and profitably. After a short trial period it was a pretty quick and easy decision to role out Hairware into 26 of our salons in a rather short period of time. The programs ability to increase client retention rates and average spends. Rubi Hair has proudly been using Hairware for over 7 years and can highly recommend their services and technology. Hairware has assisted me in building my business in areas of marketing, client relations and sms technology. 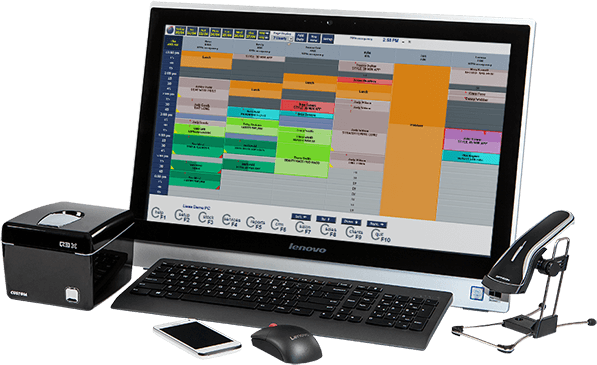 Running one salon or in my case four, using Hairware’s standalone software package has proven to be very easy. The simple to use but hard working program allows to be fully in control of my business from anywhere. There are many options to suit your salon needs, including: Single User, Mini for up to 3 users or Elite with no staff nor client limits. We have a collection of over 200 videos to help you make the most of Hairware Beautyware. Find the forms you need in order to transfer your license, upgrade your plan and more. Check our most frequently asked questions and find your answers within seconds. Subscribe to our newsletter for salon tips, updates and more!